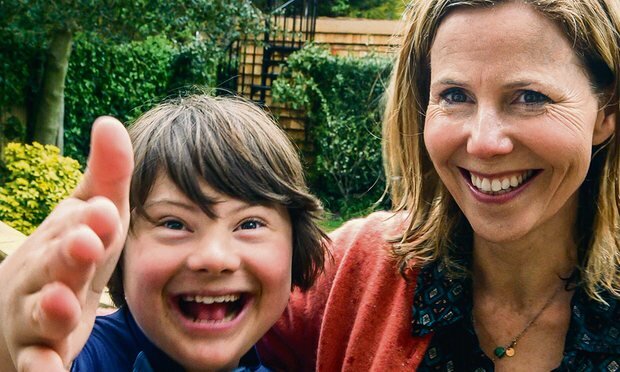 Sally Philips’ powerful BBC documentary, A World Without Down’s Syndrome? (iPlayer here, articles here or here), deploring how NHS screening may soon eradicate the syndrome, has provoked a pro-choice push back (e.g. here, here, here and here). Philips’ son Olly has Down’s syndrome. He lives a worthwhile life, enhances the lives of those he meets, and has taught her that many parents are given unduly pessimistic information about prognosis. Her opponents accuse her of bias in the other direction. They say that Olly is a relatively high functioning boy with Down’s and that Philips, a successful actress, ignores the reality of caring for a more typical children in less privileged circumstances. They also suspect that Philips, who is quite open about her Christian faith, is secretly anti-choice, and wants to impose her rose-tinted view on others. I’m pro-choice – I actually perform abortions – but I’m on Philips’ side on this one. She understands that people make different choices, and as a good liberal accepts that. Her objection is to deploying the power of the state to screen for a particular vulnerable group, those with Down’s, for which the only “treatment” is abortion. She’s asking us to consider how members of other similar groups would feel if that power were directed to screening for people like them. She’s accusing the NHS Down’s screening programme of eugenics. But the programme overall is clearly encouraging Down’s abortion. The government has decided that Down’s screening is worthwhile because most parents choose abortion. If no-one did so, screening would simply add six months of futile worry to 600 or so parents’ lives. Someone has judged that the “benefits” of preventing the births of 600 Down’s babies outweigh the costs of the screening tests and abortions. That’s a perfectly reasonable decision for a parent to make – parents may decide to abort a pregnancy with lesser abnormalities than Down’s, about 180,000 abort normal pregnancies – but it’s not a decision for the state. To see why, consider some hypothetical, and some not so hypothetical, prenatal tests. Say for skin colour, sexual orientation, autism, bipolar disorder, increased cancer risk. Imagine a woman who chooses to abort a healthy child because his skin is black. Perhaps she knows the father was black and she prefers a white child. We may not approve, but unless we are prepared to argue that women don’t have the right to choose, we would support her decision. But we would never, I hope, offer NHS skin colour testing because we wanted to give parents the right to choose the skin colour of their offspring. Perhaps that’s a far fetched example. Consider parents who choose abortions for sexual orientation, autism, bipolar disorder, increased cancer risk. Individual parents may one day choose to abort pregnancies for any of these reasons. Tests will soon be available for many more genetic abnormalities, some serious, some trivial and many in between. As individuals we will likely agree with some decisions and be shocked by others. A woman has the right to choose. But the state does not. Many people think that somehow, by discussion and argument, and fancy cost-benefit analyses, the NHS, i.e. the state, will be able to decide that some abnormalities justify screening and others do not. It won’t. People will never agree. Even two middle class liberals like Sally Philips and I can’t agree whether a diagnosis of Down’s syndrome justifies abortion. Collective prenatal screening decisions will always be arbitrary and discriminatory. They will get progressively more difficult. Now is the time for the NHS to step back; it has plenty else to worry about. Leave prenatal screening to the private and charitable sectors, i.e. to genuinely individual choice. The running assumption it seems to me in both your comments and the article is that apart from problems with intellectual development Down’s syndrome is without additional significant handicap. This presupposes that there will not be cardiac disease needing surgery with a complex recovery because of hypotonia, leukemia, epilepsy hearing difficulties and ultimately problems associated with obesity. All these come with considerable personal and indeed public cost. If all these and other issues are raised in the offered non directional counselling and you wish to continue with your pregnancy that is great and as a probably older mother care of your 20 year old vulnerable adult is how you wish to spend your twilight years equally fine, but do not be under any illusions about what you are taking on. Oh, and if you do abortions you do them because that is what your ‘client’ in modern parlance wants, whatever the reason might be, which is not for you to judge, you only have to decide whether they believe that their well being, wrapped up as mental health is better served by continuing with the pregnancy or not. Abortion in the high income world is safer than child birth.